Simon Regan, who died aged 58 in 2000, had a thing about butterflies and paedophiles. He also believed Diana was murdered, and was the journo who almost exposed Major's adulterous affair with Currie in 1993, but wrongly naming freelance cook Clare Latimer as the putative co-respondent rather than the Addams-esque Edwina. Scallywag was a sort of gutter version of Private Eye, published by ex-NOTW hack Regan from 1989 until closed in 1994 for its libellous content. Its stories live on in the eternal world of the internet, available to anyone who can use Google intelligently. One of Regan's more outrageous 'stories' made unprintable allegations against a number of senior Conservatives. I'm not going to name them. It's quite possible that Regan had stumbled across the truth about abuse involving senior political figures at a Welsh care home, but also quite possible that, like Clare Latimer, those he named are completely innocent. If you really want to know more, try "red-brick public toilets"
If there's one thing the harsh sentences handed out to last year's rioters established it is this: No thieving MP will ever again escape prison. 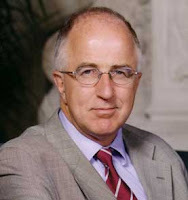 It's only a matter of time before MacShane is slopping-out with the lads in HMP York. Even as the BBC sent out a reporter for some supportive Vox Pops amongst the good voters of Rotherham they refused to oblige, the concerted line taken being that MacShane must serve time like everyone else. Guardian columnists have an extraordinarily high estimate of the value of their own opinion that is fortunately not matched by newspaper sales. Why, they aver, should such towering intellects, such national treasures, as Polly Toynbee and Michael White be subject to fickle and misguided market forces when they should be preserved for the State at the taxpayers' expense? The British press, they complain, reflects public opinion and is therefore unbalanced - and they say this with straight faces and without a hint of irony. Their contempt for democracy and self-righteous puffery is what binds them to the EU - an institution with these characteristics in spades. So predictably both White and Toynbee devote their columns to lecturing Mister Ed on the error of his ways in putting his MPs through the wrong lobby. Polly complains that 80% of UK newspapers are against the EU, and it's therefore Mister Ed's job to restore balance by promoting its value and asserting Labour's unwavering support for the corrupt and anti-democratic Behemoth. White's reasoning is somewhat deeper, but still emerges as counsel that Labour should do what's right rather than what's popular. The shivers running through the Guardian are not due to the same prickling of conscience that bothered Margaret Hoxha on Tuesday. They are down to Mister Ed having legitimised Euphobia in a party that should be wholly Euphiliac, and the prospect that he may actually develop policy for electoral advantage rather than the rarefied atmosphere of Guardian policy. Comet's troubles can only signal similar difficulties for Currys and Dixon's Group; hoist on the petard of internet trading by the very PCs and ISP deals they sold and promoted. We shouldn't be too grieved by this - sales floor jobs will go, transport, logistics and distribution jobs will grow. I suspect many have used Comet as I have, as a free manufacturers' display area. Feel the goods, examine build quality then come home and find the best price on t'net. And though many will play down yesterday's events in the Commons, the net effect will be to insert a bit of proper spine into David Cameron for Brussels whilst not unduly wounding him at home and as a crude signal to Berlaymont that both British people and parliament are almost ready for 'out'. No bad thing. I'm still working my way through Michael Heseltine's 'No Stone Unturned' but so far it's vintage Hezza. Forget his silly Euphilia and look what his UDCs achieved in the face of soviet municipal stasis; Docklands, Central Manchester, Leeds, Merseyside, Plymouth and the rest, now bustling with converted yuppie warehouse apartments, boutiques and coffee shops. Regeneration is a twenty-year wait for results, and when they come the originators are often long forgotten. Economic intervention to remove regulation and create free-fire zones for naked capitalism is not without its downside - the local inhabitants will always remain burger flippers and cleaners - but the GDP growth is worth it. Scarcely as the blood-soaked old charlatan has begun his latest effort at public rehabilitation come further revelations about his misjudgement and fiscal incompetence. This time it's his giving-away of the UK's EU budget rebate in exchange for vague promises of reform of the CAP. It is of course characteristic of an incorrigible liar that their own credulity is of a high order; Blair was gulled. He was gulled in a way an amateur, incapable bungling inept FCO junior not out of nappies would have avoided. The man is beyond useless; every single action he took in government has damaged this Realm and there is not one single redeeming feature of his time in office. Witholding honours from this abject little turd is not enough. We should turn him away from these shores altogether, to spend the remainder of his days with other bloodied has-beens an a hotel in Sharm El Sheikh. I bet you never expected to see that post title here, but the recommendation made by Monbiot in his Guardian column on party funding is spot-on. The party funding proposals made by the Kelly Committee, like those of Hayden Phillips before, would lead to even greater political corruption, jobbery and peculation than now, and are intended solely to establish the incumbent three big parties as Parties of State and fossilize British politics. Kelly is utterly unacceptable. Yes, the Union block levy needs to be ended, as does the buying-up of the parties by wealthy corporations, so there must be a cap on donations. Yes, we must end the metropolitan centralism of the parties that pollutes and infects our democratic health - and yes, the way to do this is by legislating to make all the parties dependent on their membership subscriptions alone for income. Matching membership fees pound for pound from tax, as Monbiot proposes, will be a step too far for many readers, but I think as a temporary measure to effect a sea change in party funding, to return democracy to the grass roots and to break the stranglehold of Whitehall on Westminster, it's a good move. First, the Bounty. No, not HMS Bounty as much of the media insisted on calling her; just the Bounty, a film-prop ship built for the 1960 film. Not quite a replica of the original she was 180' long with a 30' beam, compared to 90' length and a 23' beam, increasing her hull-speed and enabling her diesel to get her from builder's yard to film location a bit quicker. She also probably had a much higher centre of gravity than the original - a draught of just 13' compared to at least 18' in the original. I've no idea how functional the sailing rig was, but I suspect that unless she had a thick lead bolt-on keel any real press of sail may have capsized her. It's also reported that her owners were in financial difficulties and had been trying to sell her since 2010. Four days ago her owners decided to send her from Connecticut to Florida, across the path of the fast-approaching storm. She foundered and sank off the North Carolina coast, somewhere off Hatteras Point. A video shot by a surviving crew member shows a completely bare upper deck - not even the compulsory lookout in sight - as she rolled in the 18' swell under power, the wind hard on her starboard beam and the wheel lashed. The crew were reportedly all below not feeling well. I shall comment no further as the USCG inquiry will be as thorough as our own MAIB investigations are and we must wait for the outcome. The second is the SNCM ferry Napoleon Bonaparte, now flooded and grounded in dock at Marseilles with a 30' gash in her hull as she broke her moorings in 60mph winds at the weekend. In harbour. Inside a breakwater. The cause is obvious - her high centre of gravity and huge slab sides. 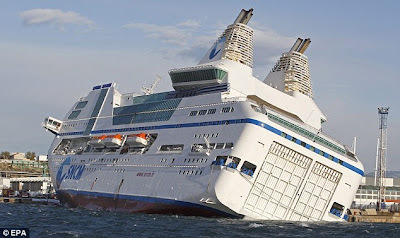 The effects of even moderate winds on stability are great, and combined with the potential for free-surface effects if there is any flooding at all of the vehicle decks makes these vessels, and all similar 'cruise ships' in my view, the new coffin ships, unsuited for anything but short inshore and coastal passages in good weather. Could shale gas be England's prize? You'll see large deposits in the southern North Sea, with the majority inside England's 200 mile commercial limit. And I say England deliberately; there's hardly any shale gas within Scotland's 200 mile limit. Although we've also got land deposits on the South coast, mini earthquakes from Brighton to the Solent may not be too popular, let alone the vast volume of drinking water the process will take from this parched region. The North Sea is a safer bet in every way. Italy is well provided, but with natural earthquakes causing enough devastation there as it is, I can't imagine they'd encourage much fracking in Chiantishire. Catalunya and the Basque region are also rich in deposits, unlike much of Spain, and Poland is practically sitting on one giant reserve. Scandinavians will be the biggest losers in Europe. But as Andrew Evans-Pritchard notes today, whilst the US exploitation of shale gas is driving a resurgence of manufacturing, the EU's energy policy is destroying the Euro economy. Even more reasons for the UK to cut the Gordian knot that binds us to the EU. Let us not forget that when the African native descends into savagery his barbarism knows no bounds. The savages of the Mau Mau committed acts every bit as inhuman as the more recent Rwandan Interahamwe or the Lord's Resistance Army; they were no peaceful innocents but red-eyed heartless killers who tore babes from the womb and inflicted indiscriminate and bloody death by rusty Panga. 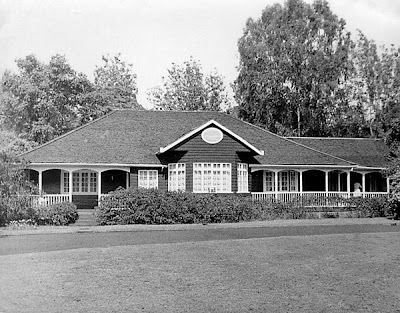 Kenya at that time was settled as openly as Surrey; neat bungalows with watered and cropped lawns, schoolboys in shorts and caps, mums on cycles and dads lecturing in short sleeved shirts at Nairobi University. The primitive inhuman threat from the Mau Mau was not just to human life but to the very notion of civilisation. Of course we shot them down like dogs - as we still would if they went on the murderous rampage today in Godalming or Sevenoaks. The three ex-Mau Mau whose compensation claim has made it to the High Court are wearing grins as wide as jumbos. I'd just as rather see them all three swinging from nooses in the courtyard of Pentonville Gaol. Trans-European contact between young people is nothing new, but in the past it was largely confined to those of a certain milieu; long stays in a succession of country houses, a familiarity with White Tie and of course a substantial income were generally required. Thus not only in Powell and Pressburger's Blimp did the young English officer know his German opponent but in the following war so many German prisoners exhibited a fluency in English perfected at Oxford and their interrogators a proficiency in German honed at Heidelberg. The levels of cultural exchange amongst what was then the ruling class did nothing however to retard wars between nationalistic ruling passions, conflicts that at their start enjoyed mass popularity. Exchange programmes for students are a good thing, to be sure. Exchange programmes for European students within Europe are even better; three months in Toledo, Rheims or Leipzig for a girl from Chichester will generally provide a maturity and roundness of experience that three months in Goa or on a Thai beach will not. So the EU Erasmus programme, which provides small grants for European students to visit eachother's countries, is generally a good thing. But as usual the Euro fanaticists have lost touch with reality. Stefan Wolff believes Erasmus will create a new cadre of pan-European leaders and prevent war for evermore on the continent. Berlaymont is striving for ever more ambitious numbers; 3m Erasmus alumni by 2012. Both are aghast at the effect of Euro budgetary belt-tightening on this ever-expanding programme, and no doubt disappointed Euro students will take up their placards in protest if Cameron succeeds in blocking the budget increases. Alas, I'm not sure the good professor has actually met any actual Erasmus exchange students. We had a couple on placement. Their sense of entitlement was enormous, and they believed religiously only in a right to free music and film, were utterly selfish even in the little things, like using the last of the milk in the fridge without popping out to get some more, and believed only in their own right to a permanent job with an unrealistic starting salary. If they were representative of Europe's future, or of Europe's future leaders, God help us.